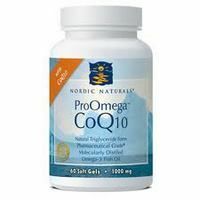 ProOmega LDL from Nordic Naturals comprises the brain-boosting benefits of essential Omega-3s with cardiovascular enhancing Red Yeast Rice and Coenzyme Q10. This unique pharmaceutical grade formula has been formulated to work with the body to help keep cholesterol levels in check in addition to supporting brain and cardiovascular function. 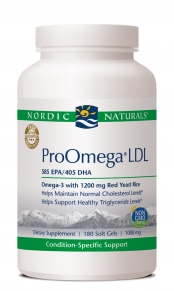 ProOmega LDL enhances liver function, enabling it to metabolize fats and cholesterol which can build up in the arteries as plaque and has the potential to put one at risk for cardiovascular diseases such as coronary artery disease, atherosclerosis, and heart attack. Red Yeast Rice and Coenzyme Q10 (CoQ10) have been found to promote healthy blood circulation and offer exceptional antioxidant activity, combating free radicals throughout vital organ systems. Ingredients: Purified deep sea fish oil (from anchovies and sardines), soft gel capsule (gelatin, glycerin, purified water USP, caramel color), red yeast rice powder, d-alpha tocopherol, rosemary extract, yellow beeswax, soy lecithin, coenzyme Q10. This was prescribed by my physician to help reduce my cholesterol. This, in combination with other supplements, have allowed me to not take any cholesterol medication. I have been on this "supplement" regimen for a year and have been successful in keeping my cholesterol down. 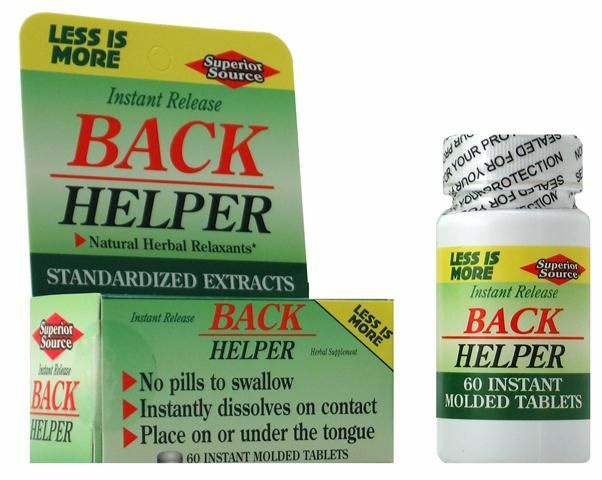 This products works well at reducing cholesterol. I use it in combination with flaxseed oil and I've dropped my cholesterol from 280 to 212 over the past five years. I did not want to go on medication to lower it. I love this product. 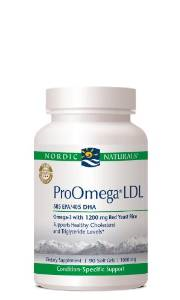 I lowered my bad cholesterol and triglycerides and raised my good cholesterol by 20% in the first month. It is easy to tolerate and no fishy taste. 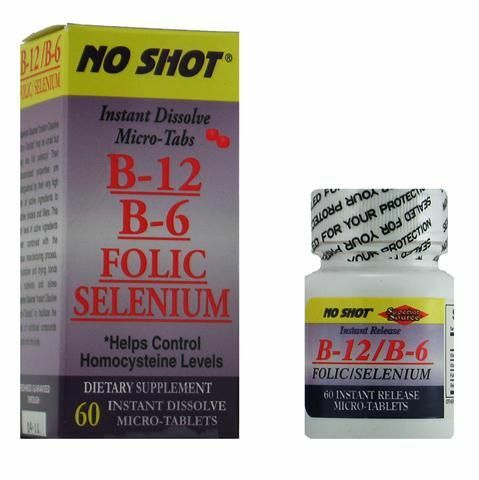 No stomach upset and free of mercury and contaminants. This beats a statin drug in my opinion and I am a working pharmacist. Try it and see for yourself.